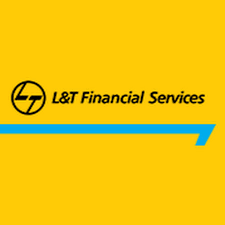 On a consolidated basis, net profit of Larsen & Toubro (L&T) rose 37.02% to Rs 2041.62 crore on 24.22% rise in net sales to Rs 35708.87 crore in Q3 December 2018 over Q3 December 2017. The result was announced after market hours on Friday, 25 January 2019. The company secured orders worth Rs 42233 crore at the group level during the quarter ended 31 December 2018. The current quarter witnessed delays in order awards due to deferment of select prospects in project businesses mainly in transportation infrastructure, heavy civil infrastructure and power business. International orders at Rs 11454 crore constituted 27% of the total order inflow. The consolidated order book stood at Rs 284,049 crore as at 31 December 2018, up by 5% over December 2017 position, registering a reasonable growth over a large base. International order book constituted 21% of the total order book vis-a-vis 25% recorded as of 31 December 2017, L&T said. Pharma major Lupin announced on Saturday, 26 January 2019, the completion of the United States Food and Drug Administration (USFDA) inspection carried out at the company's Pithampur Unit -2 (Indore) facility. The inspection was carried out between January 14 and January 25, 2019. The inspection at Pithampur Unit-2 (Indore) closed with 6 observations. The company is confident of addressing the observations satisfactorily. State-owned Navratna PSU, NBCC (India), under the Ministry of Housing and Urban Affairs (MoHUA), has bagged an order of Rs 228 crore for the redevelopment of World Health Organisation (WHO) - SEARO building in New Delhi. The announcement was made after market hours on Friday, 25 January 2019. Emami has announced acquisition of a leading personal care brand, Creme 21 of Germany having major business in Middle-East and other focus markets. The brand has been acquired at less than 1.5 times of its sales. This international acquisition is in line with the company's strategy for growth through inorganic route. Creme 21 offers skin care and body care products such as creams and lotions, shower gels, sun care range, men's range, etc. Creme 21, a German brand, was acquired by Ms Antje J Willems Stickel in 2003. Over 80% of the brand's business is contributed by MENA region and the balance by Germany and other focused countries. The products are manufactured by a third party in Germany under asset lean model. With current sale at over Euro 8 million and gross margin of over 50%, Emami expects to take this brand on an aggressive growth trajectory. The acquisition is being funded from internal accruals. The announcement was made after market hours on Friday, 25 January 2019. Zee Entertainment Enterprises will be watched. With reference to news appearing in the media quoting, A link has emerged between Essel Group and a company being probed for suspect demonetisation deposits, Zee Entertainment Enterprises clarified on Sunday, 27 January 2019, that Zee has no connection whatsoever with any alleged transactions contained in the article published by the media. With regard to the allegation of involvement of other Essel Group entities contained in the report, upon verification with other Essel group entities, the Essel Group had already confirmed that Nityank Infrapower and Multiventures is an independent company and does not belong to Essel Group. Queries relating to demonetisation, if any from SFIO were directed to Nityank. Information/documents relating to certain transactions were sought by SFIO - the investigating agency in July/August 2018 from certain Essel Group entities and requisite information/documents were provided. In view of above, since all sought by SFIO has been provided by Essel Group entities and no further information has been subsequently sought, the matter stands closed for Essel Group entities. Media reports alleging involvement of Essel Group entities in the SFIO investigation against Nityank is being done only with malicious intent and legal action as advised/appropriate are being initiated in this regard, the company added.